He had always waited for the day, the one where a dream would be realized, specifically, skating in his first big-league contest. But for Boyle, it didn't go quite exactly as he had anticipated. Instead, it ended up being a somewhat frenetic chain of events that eventually led to his debut against the New Jersey Devils on February 2, 2008. Thankfully, the Kings sent a car service to pick up Boyle and bring him to New Jersey. Boyle's first assignment on his first shift? Take the face-off. A memorable moment it was not. Although they lost the game 6-3, there was at least one good thing Boyle got to experience: his first NHL goal. He scored four goals in his first seven NHL games, three in his first four. Now, Boyle, who was traded by the Kings to the New York Rangers for a third-round pick in 2009 on June 7 of that year, is hoping to have more of those big games with the Original Six club. Last year, Boyle had 21 goals and 35 points in playing all 82 regular season games with the Rangers. And while he hasn't had the same type of offensive success to start the season, Boyle's confidence isn't suffering. Boyle's passion for the game hasn't ebbed either. 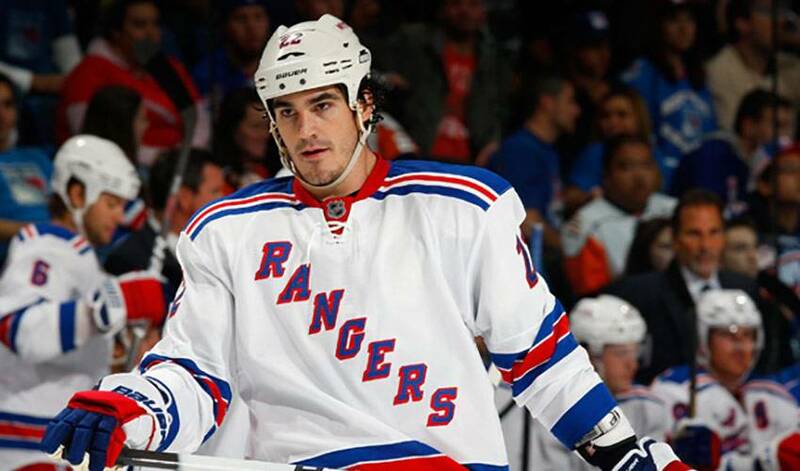 Boyle's hoping he and the rest of the Rangers can experience similar for themselves in 2011-12.